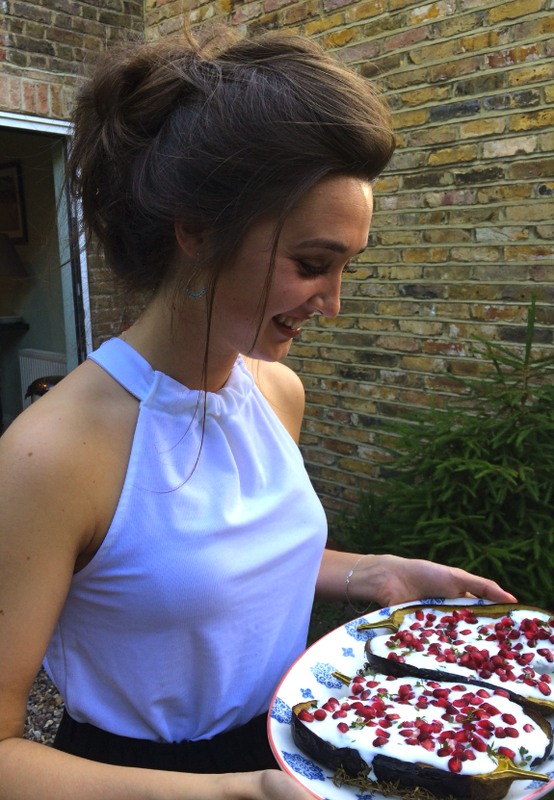 As you have probably seen, the Ottolenghi ‘Plenty’ cookbook has been on my wish list for a while now. I love vegetarian recipes, and Ottolenghi is the king of making vegetables the star of the show. A couple of weeks ago I finally got round to purchasing it, and the recipe that really jumped out at me was the Buttermilk Aubergines. I love food that is visually attractive as well as tasty too, and this one ticked all the boxes! 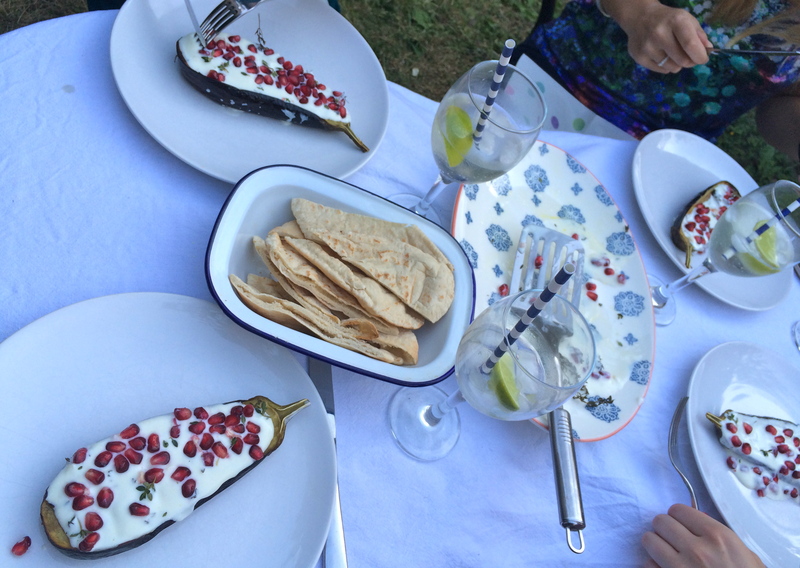 It’s a perfect sized starter for 4 people, and lovely served with some warm flatbreads or pittas. 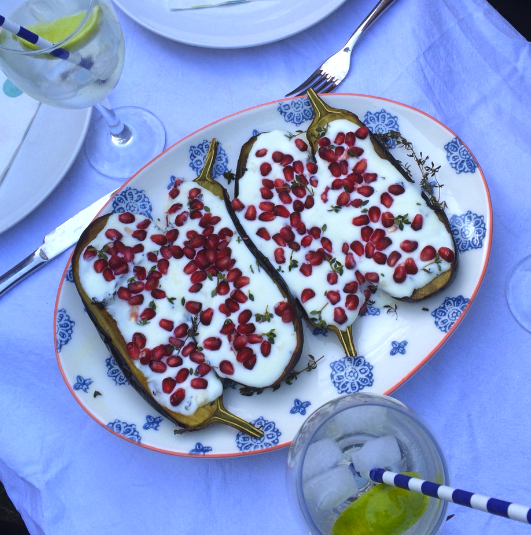 Start by slicing the aubergines lengthways in half. Score them four times across without cutting through the skin, and another four times in the opposite direction. 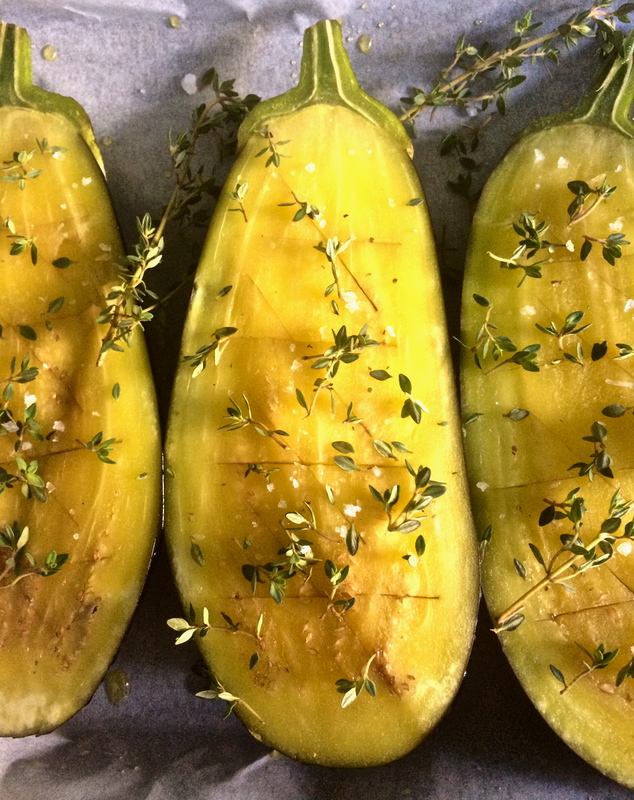 Brush in the 80ml of olive oil all over the aubergines until they have absorbed it all. Sprinkle over the sea salt and the lemon thyme and cook them in a 200 degree oven for about 35-40 minutes until they have gone lovely and golden. Whilst they are in the oven, make the buttermilk sauce. Mix together the buttermilk, greek yoghurt, garlic, oil and salt in a bowl. Spoon it over the cooked aubergines, leaving the stalk poking out. Then sprinkle over the pomegranate seeds and a few more sprigs of lemon thyme before serving. The recipe says sprinkle za’atar on top as well, but quite frankly I have no idea what that is or where one might find it, so I just stuck to lemon thyme! 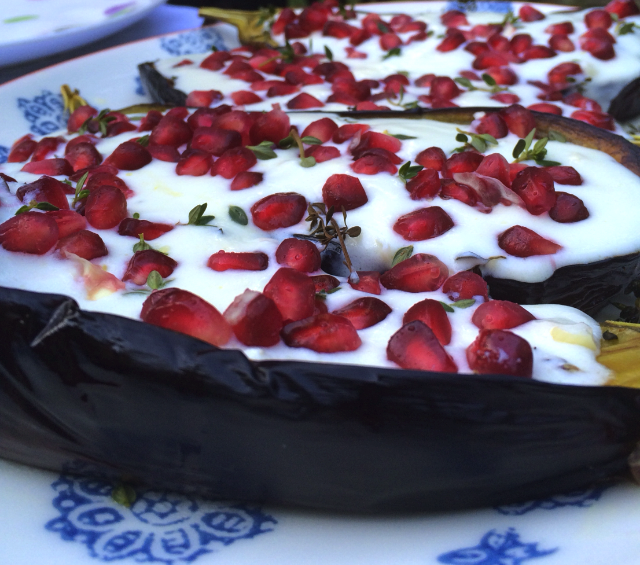 Get everyone to dive in and take an aubergine half, and make sure you serve it with plenty of warm pitta breads to mop up the sauce! Follow me on Instagram @kettleskitchen!